New for BlackBerry PlayBook: Solitaire Pro! We’ve released an all new game for BlackBerry® PlayBook™: Solitaire Pro. This timeless PC classic is now available on the go! Complete with HD graphics and smooth animations this game will provide you with hours of playing fun. Complete the game in as little moves as possible! 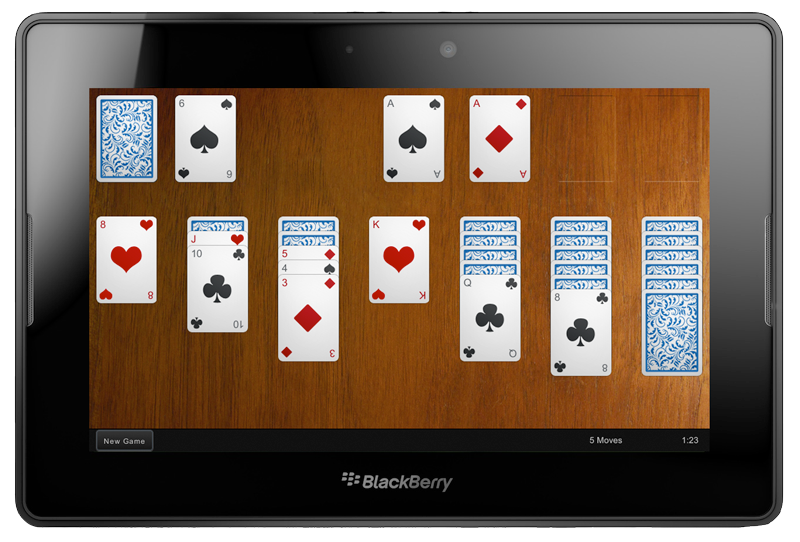 Solitaire Pro is compatible with BlackBerry® PlayBook™ 2.0 and up. Previous Previous post: New update for Tiles!